Windows can be so much more than just glass and a frame. 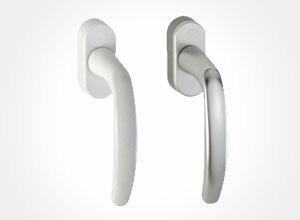 The TwinSet Energeto View delivers beautiful minimalist design along with advanced European energy-efficiency. 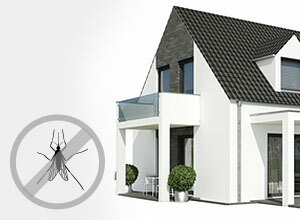 Give your facade a facelift with this modern German profile while saving energy and money every month. 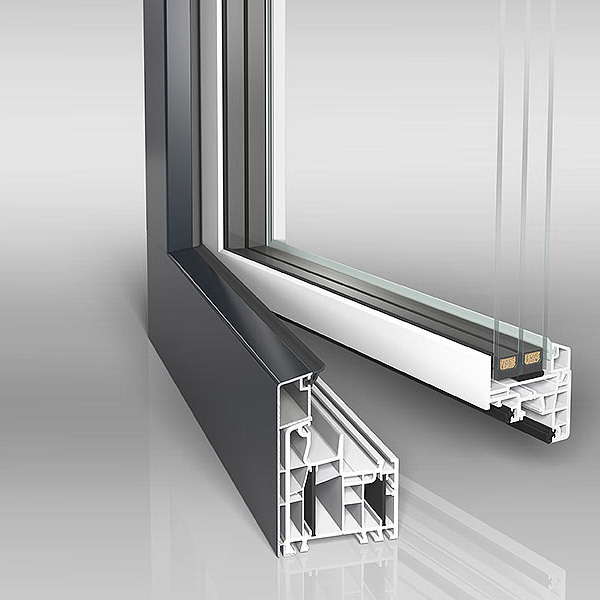 The Energeto View can reach Passive House values without sacrificing aesthetics, durability or security. 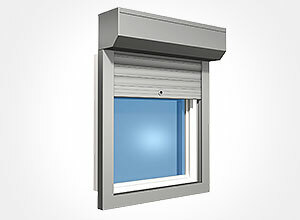 Its robust aluminum cladding and precision made vinyl frame feature strong thermal performance without the weight or cost of solid wood or metal. Our wide range of custom options enables you to configure the exact insulation, security and design features you require. 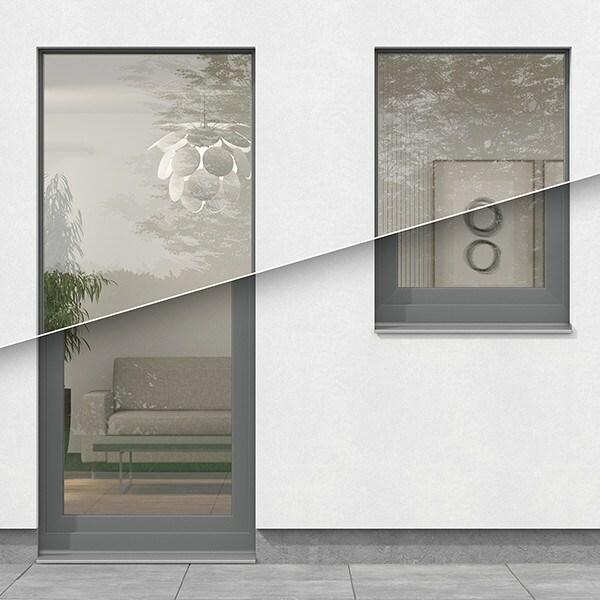 By concealing the casement within the frame profile upon closing, the Twinset Energeto View maximizes the usable glass area with its flush casement creating a sleek modern facade. 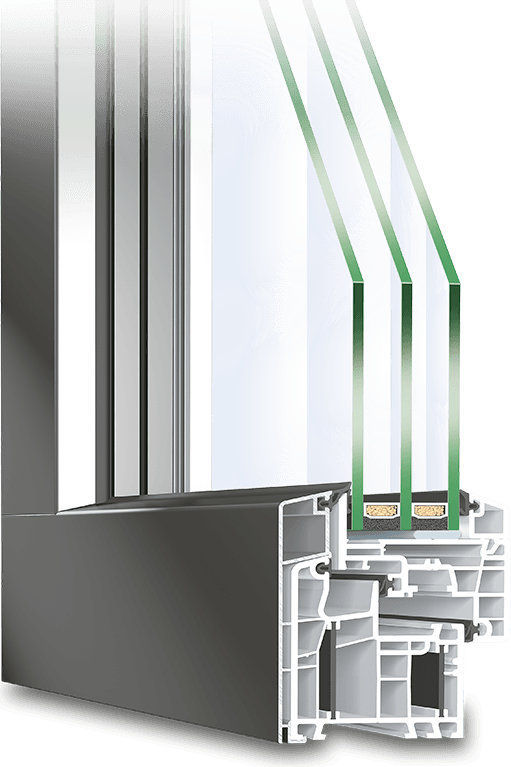 This gives the profile a considerable advantage over standard window frames, especially when optimizing the glass size as part of design requirements. 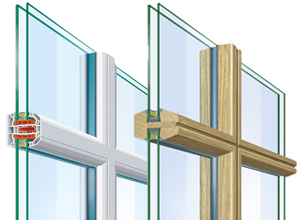 The uniform frame surface also allows more options for window installation. By mounting the frame section within the aperture, a clean and modern look is created for the buildings’ exterior, but without losing the functionality of the Tilt & Turn opening. 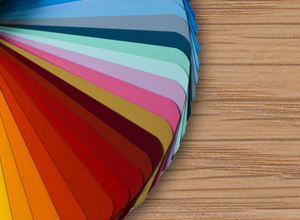 The combination of vinyl with exterior aluminum cladding creates a durable profile, with significantly better security than regular vinyl systems. 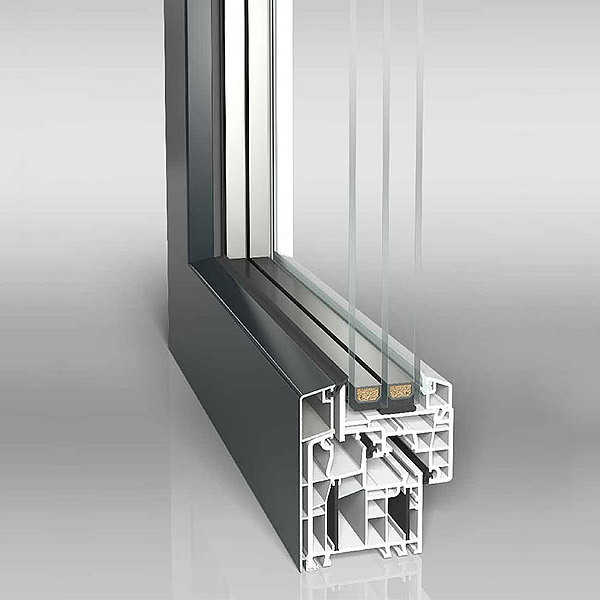 The addition of carbon fiber reinforced Ultradur® inserts within the vinyl eliminates thermal bridging caused by steel. 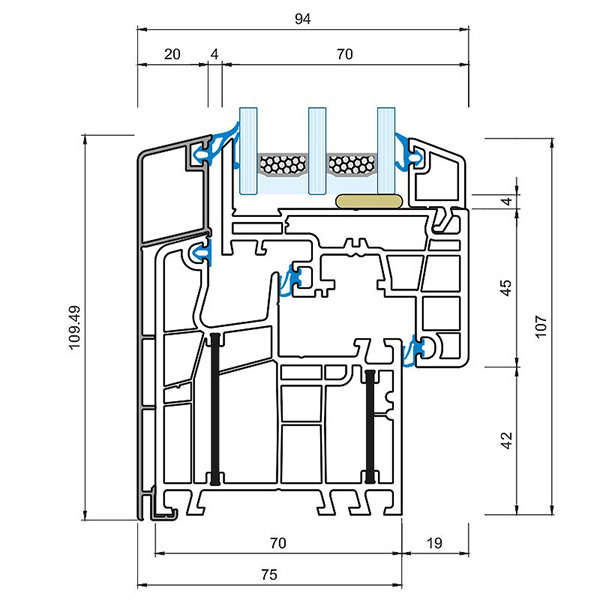 The high thermal insulation of the profile is achieved by the multi-chamber structure. 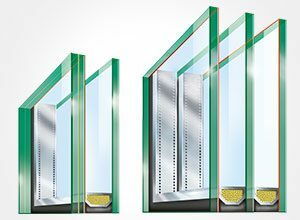 Partitions across the section isolate the interior surfaces from the effects of external temperature changes, while the triple seals protect against wind and rain. The security performance of your home's doors and windows are important for both peace-of-mind and insurance requirements. 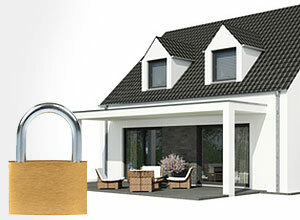 Multipoint locking is a standard feature of all Twinset Energeto View windows to effectively protect against intruders. 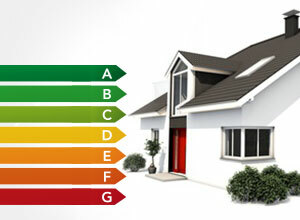 This ensures that the Twinset Energeto View is a secure, attractive and energy-efficient solution for your project.